Heart Of Moeraki is s charming self contained family home, offering you wonderful peace and quiet. Fully equipped with everything you need for a relaxing holiday or de stress after a busy day. 65" flat screen TV in the lounge as well as a large panasonic heat pump. 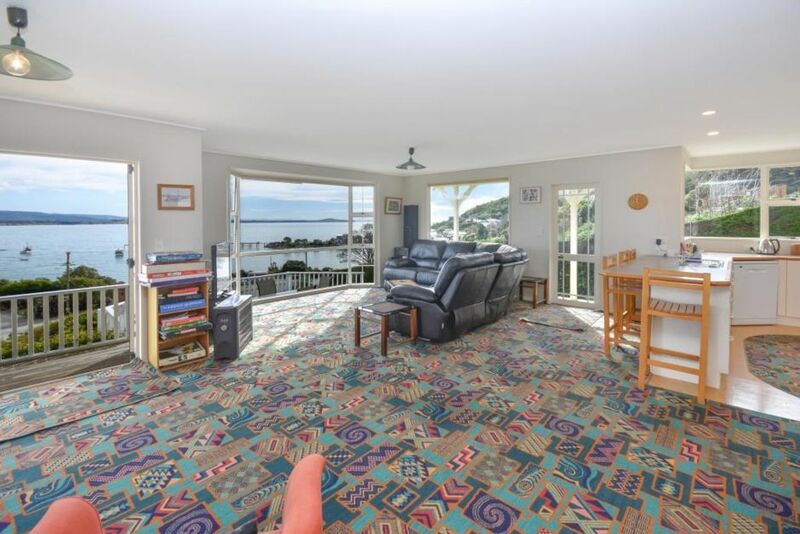 Sunny position with fantastic views across Moeraki Bay. 50 metres to the beach and boat ramp. A 2-minute walk to "Fleurs" Restaurant/cafe. The prefect retreat for individuals looking to get away or family groups looking for a slice of no frills kiwiana heaven. Lovely property with fantastic views. We only stayed a couple of nights, but can see us heading back again for longer this time. Great location, everything you need is there. Great house and beautiful view. Gorgeous views, very clean and tidy house. Well appointed and comfortable.